Anyways. I have some great news. Firstly, my fiance finally got back studying, and he's pretty excited about it. Yay! Secondly, it seems we finally get our bedroom in a proper order this weekend - I'll let you know what happens, later. So this was a girly look, trying to achieve a kind of edgy-meets-polished vibe to it, and I hope you find it as nice as I did. This look - like the one in the previous post - are the kind of looks I could easily wear all the time, if only the weather stayed nice and sunny enough. 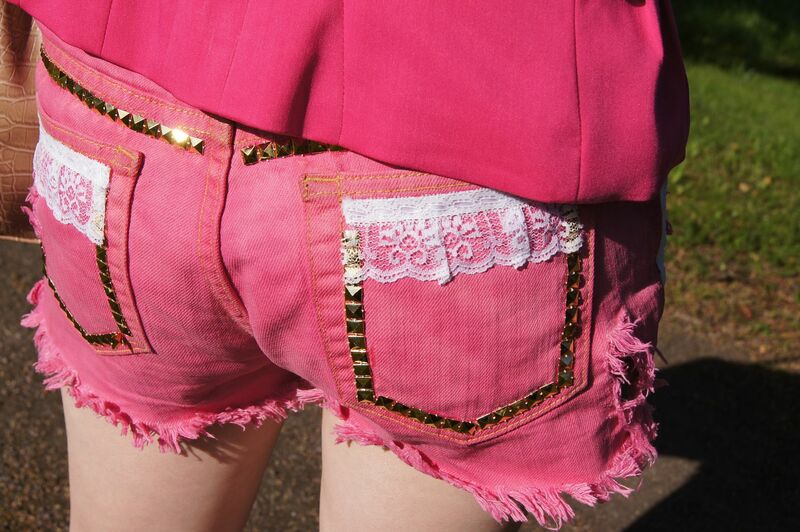 I'm in love with those shorts so completely, don't you think they're adorable? What do you think about the look? Let me know! Now, I could mention a little more about the shorts. They're by this talented young lady from Texas, and she's working under the name Little Miss Trendy (see her Wordpress site through this link!). I found her through Pose, and got interested about her work because of her nice taste on clothing and fashion. I usually don't order from just anyone, I'm the kind who needs tons of recommendations first. But something about her made me think I should order from her. And, as I'm super happy about the product and the service I got from her, I'm warmly recommending her to you. She ships the products worldwide, it just adds a bit to your price if you're outside US like I am. 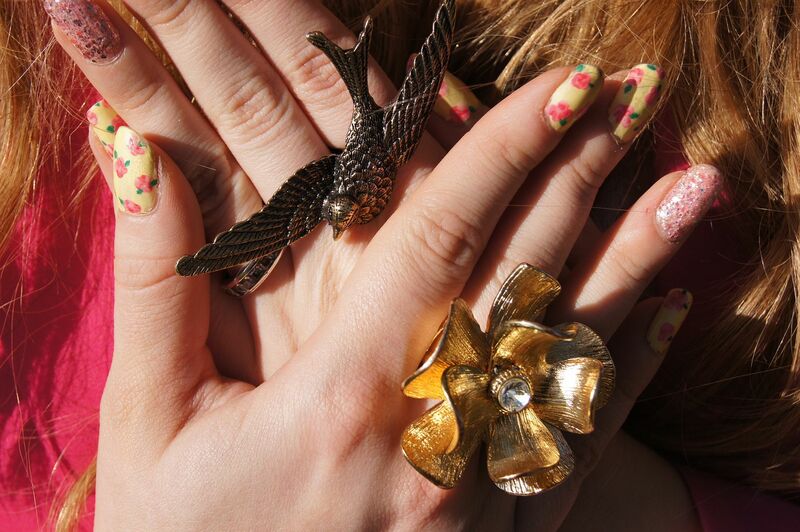 I would also love to order custom/indie nail polishes, but most of them don't ship to Finland. If there's a lovely person out there reading this, who knows an indie nail polish brand who ships to Finland? It would be so helpful! 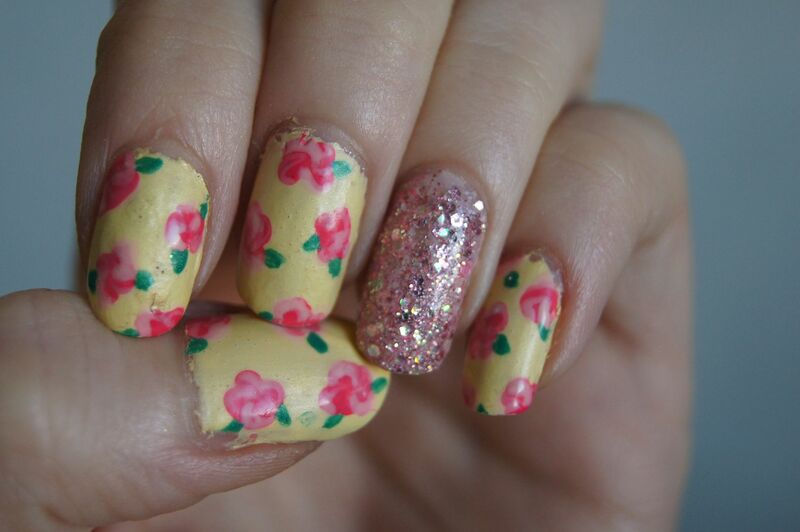 After seeing so many versions of vintage floral/rose nails, I had even before this challenge decided this would be fun to try out. It was much easier than I thought, but I still feel I'm in need of lots of practice. 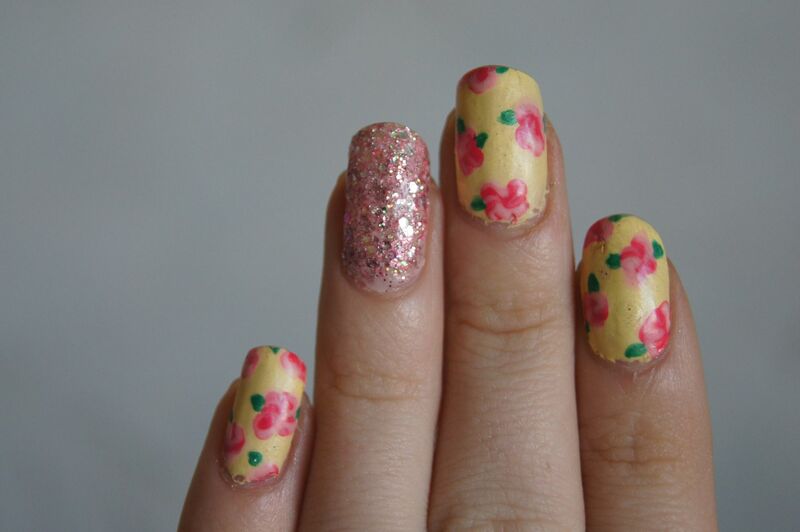 :D Anyway, this is my take on floral nails (without stamping). So, girly and cute all the way. For more recent nail art, outfits, and other bits of my life, check out my IG account, where I post daily. ;) (search for the name Silvertigo, you'll find me!) And leave a mark you've been there, so I can follow you! Those nails are adorable! I wish I had the patience to do something like that. Johanna you are the sweetest! lovely look dear! !love your shorts! 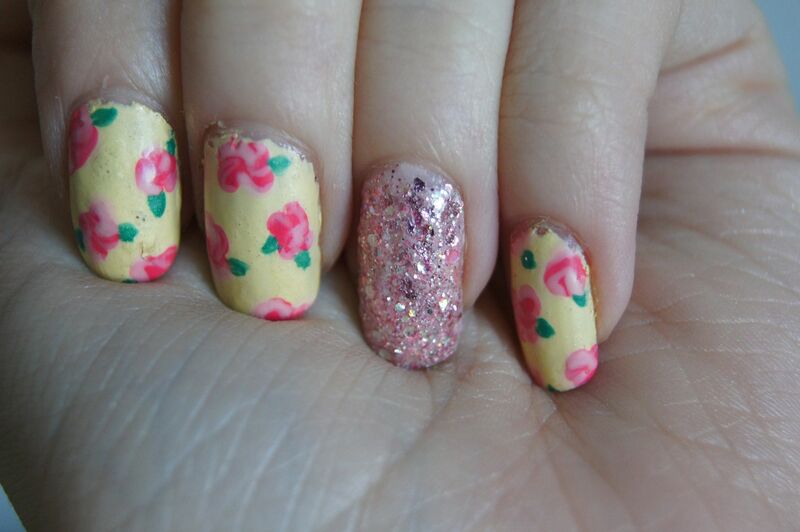 and amazing nails! !love the flowers!! Those shorts are absolutely amazing!! I want them lol! And I also love your rings! 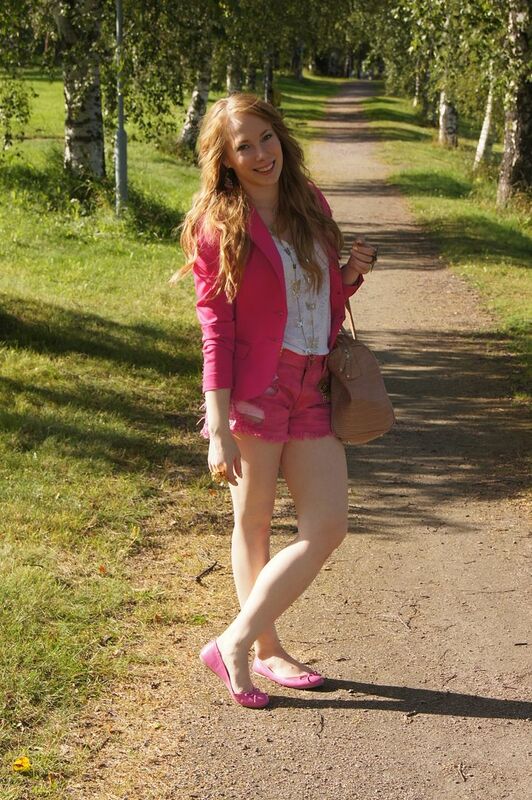 Love your pinky outfit! You look so pretty! 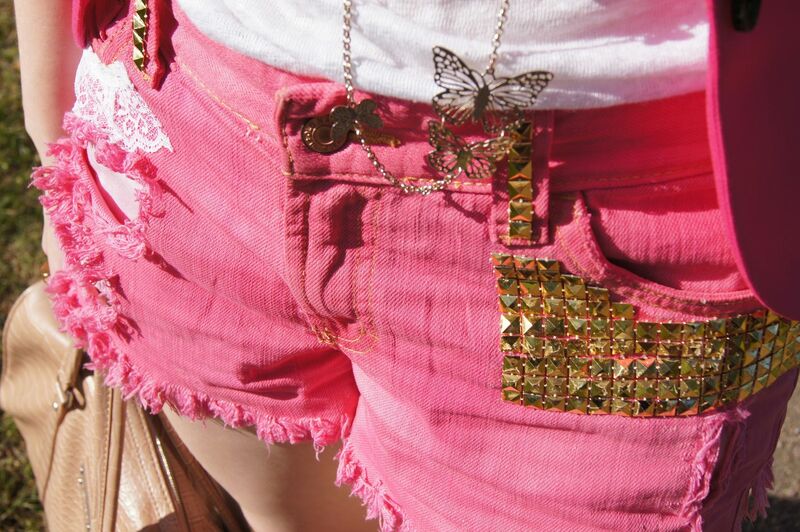 Love your shorts and butterfly, so CUTE! I love this girly look on you! The pink shorts look so nice on you, and the whole pink look suits you so well. Pink is dashing on you dear. 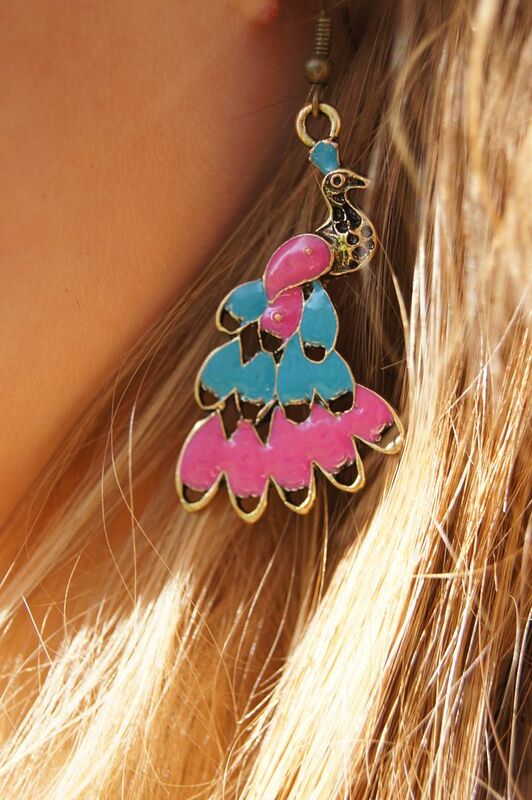 I also love all your pretty little things, the earring was divine! you look great in pink and loveee your gold accessories!! Amazing outfit!, i love the shorts ! !